Wayne Dalton’s 600 ADV grille is three times faster than a standard rolling grille with an opening time of 24” per second. 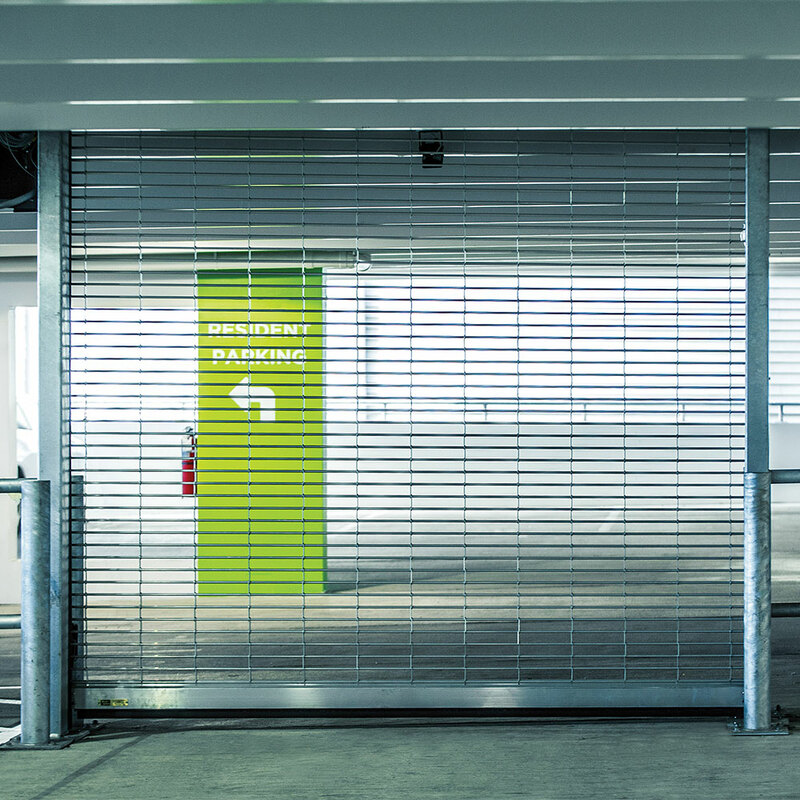 Our springless design provides a smooth and reliable operation and ideal applications are high cycle or high traffic areas, such as parking garages, auto dealerships, warehouses, manufacturing facilities, and airports. This door comes standard with a wear-resistant guide system featuring UHMW wear strips on both the outer and middle angles of the guides to significantly reduce curtain wear. The Advanced Rolling Grille System has a 60-month limited warranty on the motor and 24-month/300,000 cycle on the grille components that will help you achieve the peace of mind that your grille will perform as promised. *Dependent upon the curtain material and pattern. Consult the factory for sizes not listed above. 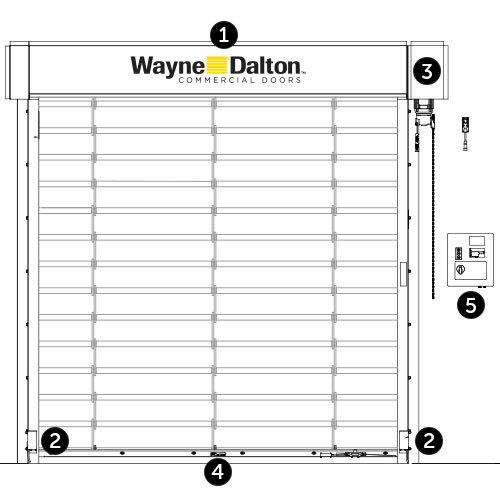 Springless Barrel Design – Springless high cycle design allows for the door system to be opened and closed frequently creating asset longevity and reliable performance over extended time without having to incur the cost of spring replacement. Heavy-Duty Commercial Photo Eyes – Photoelectric sensors reverse the downward motion of the grille when a person or object enters its path. Direct-Drive Heavy Duty Gearbox and Motor with Built-In Breaking Device – Ideal for high cycle applications. No drive chain and sprocket to adjust and maintain. Braking mechanism protects against uncontrolled travel. Manual hand chain override for door operation during power loss. Wireless Safety Edge – Wireless, monitored safety edge reverses downward motion upon impact. NEMA 4X Control Panel with Built-In Variable Frequency Drive – Allows door to close at a slower speed than it opens to meet safety requirements. LCD readouts indicate door actions, alarms and fault conditions. Timer to close programming options and non-resettable cycle counter are included for maintenance and service reminders.